Children’s Brains Need Clean Air! Did you know that children’s brains need clean air? Or that air pollution can affect their ability to think? While the medical community and public historically connect unhealthy ozone and smog to asthma and lung disease, studies show that air pollution can harm children’s brain health. More than 100 peer-reviewed studies and reports correlated air pollution with a negative impact on fetal and children’s brain health, including strong links to autism and ADHD, as well as deficits in IQ and cognition. EPA’s proposal to roll back vehicle emissions and fuel efficiency standards will pollute our air with toxic chemicals that harm children’s developing brains, putting them at higher risk for learning and behavior challenges. 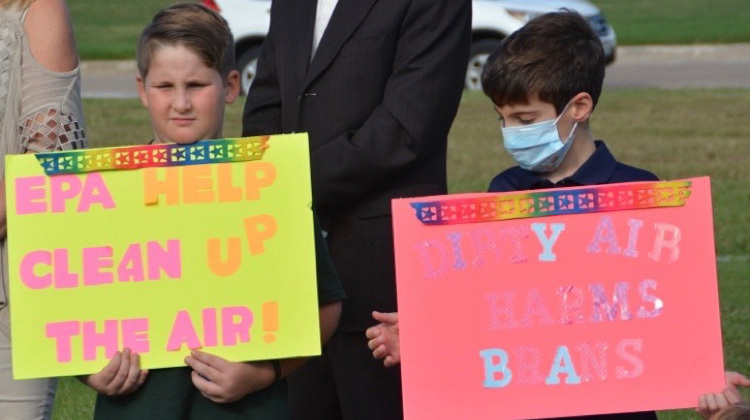 Join LDA in telling the EPA to uphold strong clean car standards and protect children's health by signing the petition today. Thank you!